The Windowclean Centre are delighted to have taken delivery of the first Unger nLite HydroPower XXL RO Trailer into the UK. Fully Integrated Trailer System with RO Filter + 750L water tank. Total flexibility for producing and transporting 100% pure water for water fed pole cleaning! Fitted out with hi spec components, offering BIG capacity and performance, it’s the ONLY real alternative to commercial van mounted systems. Pure Water tank capacity: 750L. 1 or 2 man operation via 2x hose reels and 2x 12V / 150 psi pumps. Each high quality hose reel is fitted with 100m hose for optimal reach. Pure water output – up to 250L per hour per person. Digital controller monitors water flow, pressure and battery power. Control water flow Rinse / Wash modes manually or by wireless remote control. 3 stage water purification production with dedicated 12V / 150 psi pump. (Sediment / Carbon Pre-filter, RO Membrane and nLite HydroPower™ DI Filter Polisher). Integrated TDS meters monitor RO and final polish results. High capacity 12 Volt Gel battery offers ‘all day’ operation before requiring recharge. Maintenance free 210 amp hour Gel battery with mains charger supplied. Integrated storage compartment fits up to 6 water fed poles up to 1.91m long, with side storage areas for brushes, safety signs and other accessories. 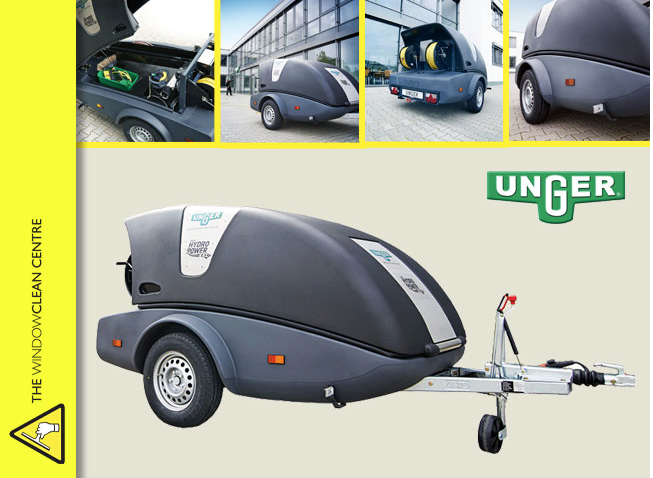 Suitable for vehicles with towing capacity of 1,350kg. DOT road specification, single axle, integrated lights and indicators with brake assist. Supplied with european standard coupling, jockey wheel and manual parking brake. Conforms to EU regulations. The multi-chamber tank design with low centre of gravity is designed to maximise stability during transportation. Includes Auto Shut Off features, activated during water production mode when the tank becomes full and during use when the TDS of the outgoing water measures 5ppm (can be changed to lower or higher number). Henry Unger, founder of the global company that has been producing innovative and trusted professional cleaning tools for over 50 years, has received the ultimate accolade – a posthumous Lifetime Achievement Award from the International Window Cleaning Association (IWCA). 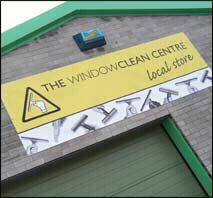 The story began back in 1964 when a young window cleaner decided to take a chance. It was in that year that Henry Unger took the latest window cleaning innovations from the United States and introduced them to German window cleaners. His discerning eye for quality products, tireless pursuit of new and better ways to clean, and his practical experience of knowing the issues that window cleaners faced, proved to be a recipe for success. The company started from humble beginnings, the attic of Henry’s wife’s grandmother in Hamburg, but soon grew to become the global concern it is today. Unger now has business partners in 80 countries across the world. Passionate about improving the lives of window cleaners, he strived to design products that achieved the best results while making jobs safer, quicker and easier for the professional. 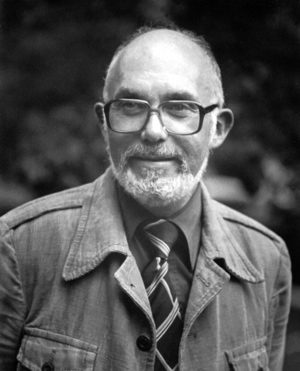 He was an active member of the IWCA from the start, strongly supporting its mission to develop professionalism, ethics and standards of safety. The IWCA Lifetime Achievement Award was established to honor a current or former individual member of the IWCA who has made major life-long contribution to the window cleaning industry as a practicing window cleaner, supplier, promoter or leader. It is above and beyond honorary membership. The Lifetime Achievement Award is extremely elite and not intended to be awarded each year. Mark Unger, Henry’s son, still helps to guide the company today, together with his two brothers, reaffirming their father’s core values of quality, innovation and customer service. “This award comes at a time of great significance for Unger as we celebrate our 50th anniversary this year. The fact that the IWCA are also celebrating an important milestone – their 25th anniversary – makes this even more special,” says Mark Unger. Half a century of dedication, innovation and understanding the needs of the professional cleaning sector will be marked next year, as Unger celebrates its 50th anniversary in 2014. 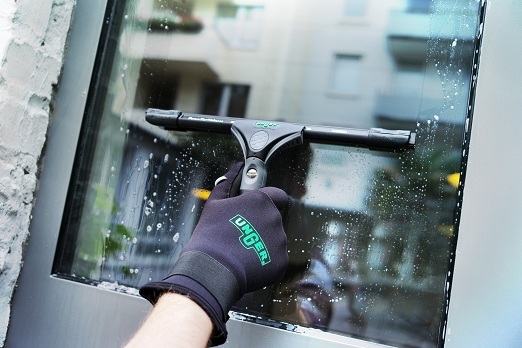 When Henry Unger seized the opportunity to improve the working lives of German window cleaners back in 1964, by introducing them to the latest innovative products from the US, he could not have guessed that he had started a European cleaning revolution. From humble beginnings – he launched the business from his grandmother’s attic in Hamburg – the company now spans the globe. The family values that inspired his vision remain strong today, and continue through his three sons, who still guide Unger, reaffirming their father’s core values of quality, trust and customer service. Unger’s 50 years so far have been filled with major milestones. The S Squeegee was the company’s first breakthrough in 1966 – made from stainless steel, not bronze, and featuring a quick release mechanism to make changing the rubber strips easy, speeding up the cleaning process. Fast forward to the Ergotec® Ninja, a quantum leap in squeegee design, form and usability; followed by the development of the HiFloTM PureWater cleaning system for windows and façades, and it’s plain to see that Unger has never stood still in its quest to make window cleaning safer, swifter and even more successful in terms of results and profitability. And much more – watch this space! 2014 will not just be a time of celebration for Unger, it will also mark the start of another 50 years, and more, of innovation to come. Who is the new face @ Facelift? The new Facelift Cleaning Systems concept and products will have the backing and support network of Window Cleaning Warehouse, well known throughout the industry. 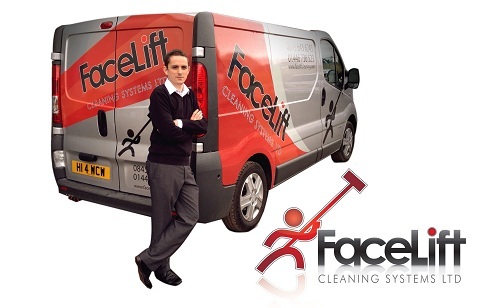 Steve Fox, MD at Facelift Cleaning Systems said, ‘After buying Facelift last year we have spent months on product development and needed the right guy on board to launch the exciting new range, Mike MASSIVELY fitted the bill’. CARPEX / WINDEX 2012 have been cancelled. Owing to the greatly enhanced marketing opportunity offered by the Cleaning Show 2013, which is co-locating with the IMHX International Materials Handling Show, several traditional Carpex/Windex exhibitors have elected to use a greater percentage and in some cases all of their marketing budget for this event. Visitor numbers at the Cleaning Show 2013 are expected to significantly increase thanks to the co-location with IMHX, making this an event that no serious supplier to the cleaning and allied markets can afford to miss. Few companies wish to attend both Carpex/Windex and the Cleaning Show 2013, and as a consequence Carpex/Windex 2012 has been cancelled. The next Carpex/Windex exhibition will therefore take place in 2014. 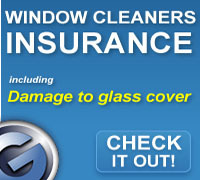 FREE Websites for Window Cleaners! Studio Arts are the leading UK based web design company specialising in providing websites for window cleaning companies. 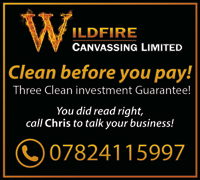 To view some of the website designs available you can visit their site by clicking the picture above or visit the Window Cleaning Services directory which is an exclusive directory of websites already designed for clients. 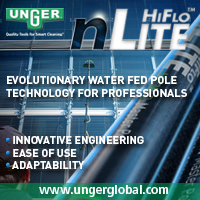 Unger is ushering in a new age of enlightenment with the launch of HiFlo™ Unger nLite pole– the most advanced water-fed pole system to hit the market in years. This latest innovation from Unger, the company that provides smart cleaning solutions to more than 80 countries worldwide, will change the way that windows and façades are cleaned forever by combining the best features of its telescopic and modular poles into a brand new system that delivers unrivalled results and adaptability. 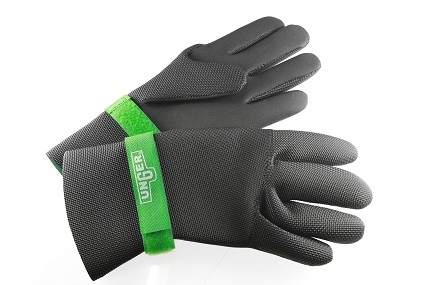 Win a Pair of Unger Gloves! Just in time for winter, Unger has announced the re-launch of its protective Neoprene gloves range, with an impressive line-up of new features and improvements. To begin with solid reinforced stitching, as well as a glue seal, have been added along the seams to achieve extra durability and protection against water ingress. 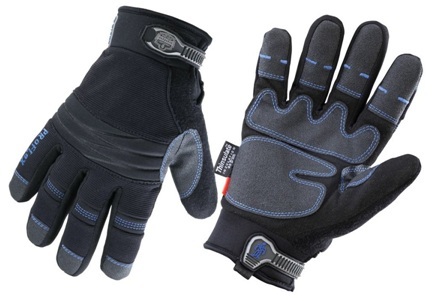 Yet the gloves feel soft and comfortable on the inside with the thread on the seams virtually undetectable due to the “blind” stitching technique. The standard Neoprene version will keep your hands warm and dry, whatever the weather, with added protection against the wind due to adjustable Velcro straps around the wrist. Made of 3mm thick 100% rubber Neoprene, just like the former versions, the new gloves feel more flexible due to the material enhancements. The premium ErgoTec® version is now loaded with more features than ever. In addition to the Velcro wrist straps and great insulation against cold, the screened-on silicone patch on the palms offer exceptional grip on all tools. New knuckle inserts and pre-curved fingers enable the gloves to follow the shape of the individual’s hand. Combined with the ultra smooth feel of the 95% Neoprene and 5% Nylon material on the inside, the ErgoTec® gloves provide a natural skin-like feel and fit. Both standard Neoprene and ErgoTec® gloves now come in 4 sizes – S, L, XL and XXL, and are available from Unger dealers nationwide. If you fancy trying a pair for yourself, here is a bit of a great news. 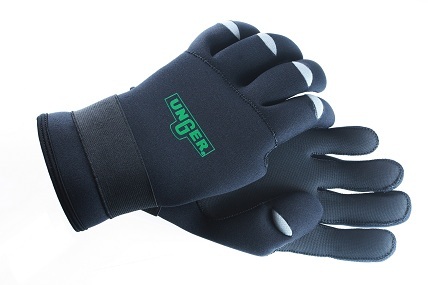 Unger UK is giving away 5 pairs of the Neoprene Gloves to 5 lucky winners – for your chance to win text UNGER followed by your name and address to 66777. The winner will be drawn on December 16th 2011, and notified by Unger directly. Competition is open to UK and ROI residents only. 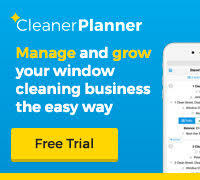 The team behind the number one Window Cleaning brand utilised its world class expertise to produce an easy-to-use, one step System for indoor window cleaning. The System is perfect for any user without window cleaning experience and does not require extensive training – just a few practice runs. It also offers safe and quick access for cleaning high level windows, skylights and glass balustrades, with Unger’s best selling telescopic pole. So, how does it work? The essential component of the Indoor System is a 20cm wide Padholder with a swivel head, featuring Velcro backing. Depending on the level of soiling a user can choose between 2 microfibre pads, attachable to the Padholder with Velcro. The pad with ultrafine, short fibre is ideal for every day cleaning, as well as polishing of glass and mirrors. For periodic washing or heavy soil, Unger provides a more absorbent 15mm microfibre pad. Fit the Padholder with the right pad onto a pole, spray the pad with deionised water and you are ready to go! Why deionised water? Purified of minerals, deionised water provides a streak free finish, without the need to squeegee or dry the windows, resulting in sparkly clean finish and improved time and labour efficiency. 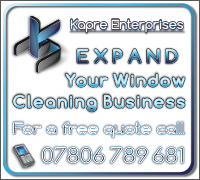 All you need to do is simply wipe the glass or mirror surface until clean and leave to dry on its own. 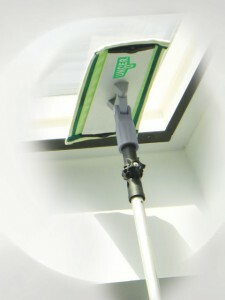 There are 2 System kits available within the new HiFlo™ Indoor Window Cleaning System. The Starter Kit (RRP £48.70 excl. VAT) is designed for those already in possession of the basic cleaning equipment and consists of the Padholder, 5 Polish Pads and a thread Adapter – which means that the Padholder fits onto any existing Unger pole. A complete Master Kit (RRP £98.42 excl. VAT) also includes the Unger 2.5m TelePlus™ pole, a Sprayer on the Belt as well as the practical ErgoTec® Belt and Pouch for storing clean Pads. The System, covered by Unger’s 100% Customer Satisfaction Guarantee, simplifies the cleaning process for indoor windows and other fixtures, saving time and money with improved safety.